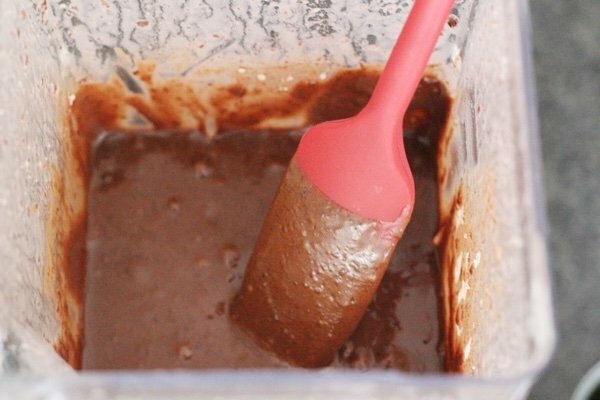 This black bean brownie mix recipe is unbelievably easy. I promise – you will not notice the beans. I have been working with this concept for a while. 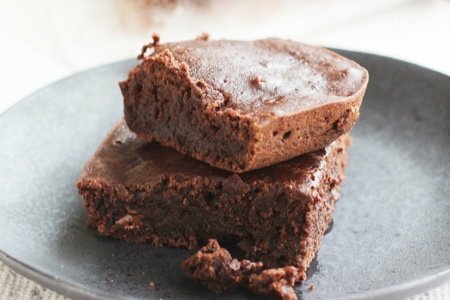 My black bean blender brownie is a favorite for the gluten-free crowd. Today’s recipe is even simpler because it only has two ingredients. 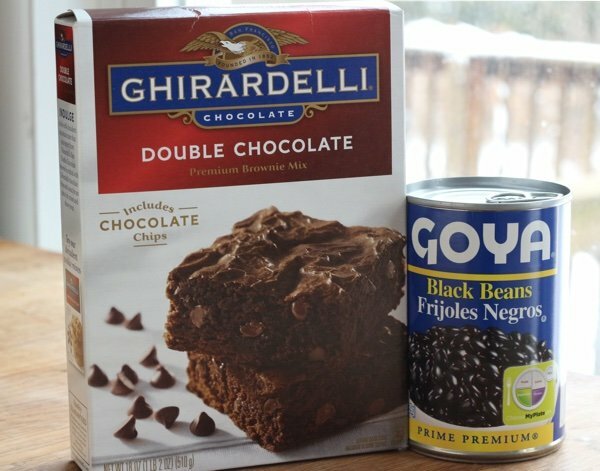 Instead of adding water, vegetable oil, and an egg to the brownie mix, you puree a can of black beans in a blender with 1/3 cup water. Then, you add the brownie mix and pulse until mixed. Voila! Why would you add black beans instead of oil and an egg? First, let's look at calories. For 1/3 cup canola oil and one egg (which is what you add to my favorite brownie mix) you are looking at 705 calories vs. 315 for the can of black beans. But the comparison shouldn't stop there, because the black beans have ZERO saturated fat - while the egg and oil combination has 6.7 grams (for the entire brownie mix). Also, with black beans you will be adding fiber. Black beans have 24% of your daily value of fiber in 1/2 cup. I happen to love the Ghiraradelli mix because it is very chocolately. If I am going to eat a brownie – I WANT a deep chocolate taste. You do not taste the beans when you do this and no one will know if you don’t tell them. These are less fudgey than the original recipe (more cake like) but they are still really good. If you find yourself out of control – freeze them! I love that I can make this in the blender and then toss the carafe in my dishwasher. I am SO TIRED of dishes. The downside of cooking for your family is the number of dishes that need to be washed. It seems endless. 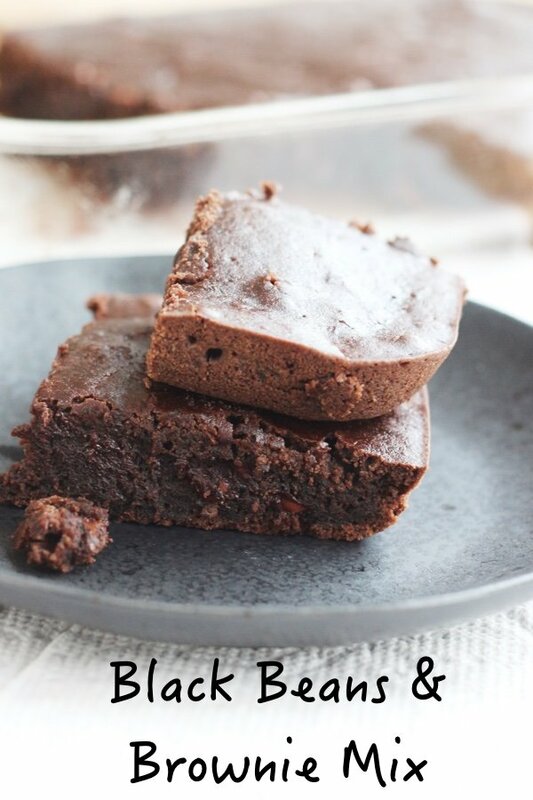 Have you tried mixing black beans in brownies? What did you think? Blend drained and rinsed black beans with 1/3 cup water. in food processor or blender until smooth. Pulse in with brownie mix and bake following package directions. So I have tried a lot of BBB recipes and this one is an absolute must try. It's much healthier and if you like Ghirardelli chocolate you can use the chips. I buy the 4-pack of Ghiradelli brownie mixes at a big box store. I was organinzing the pantry this past weekend and came across the Ghiradelli box with a single pack remaining. I'll give this a try. Do you think Navy beans would work just as well? I have three cans of those on hand, but no black beans. Snack Girl, THANK YOU for the recipe! I love getting your email (and have used several recipes from your book). That is my fave mix, and I cannot wait to try. To the other commenters....When someone provides a free recipe, consider whether it is appropriate to post other recipes and erroneously characterize them as "healthier" (higher fat...) without at least acknowledging the recipe on which you are commenting. Also, feel free to Google substitutions or just try them out and share results (or pick up a 99cent can of the identified and tested beans!). Let us know if your substitution works! Vent over. Keep it coming, Snack Girl. How many freestyle points?? I think they should be less if using free black beans?? Is this in an 8x8 pan or a 9x13? Yes what size pan ? Barb and Diane: This is a 13x9 inch pan or 9x9. The box usually has the choices of sizes. Thanks for your question! !